Last Wednesday, August 26, I had the immense pleasure of heading downtown to attend the Simon & Schuster Fall Kids’ Preview to highlight their new children’s, MG, and YA books! It was held at the beautiful Spoke Club on King St. W in Toronto. This was my first publisher event so I was, naturally, a little jittery. 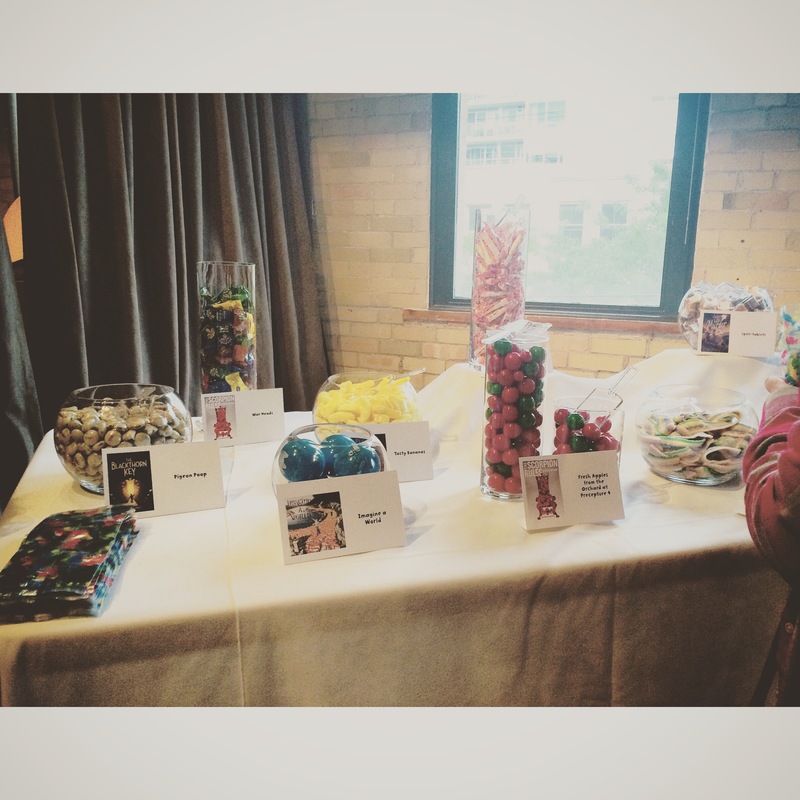 When I entered the room, there was a table with a couple fun giveaways for attendees to enter and from there it opened up into a big open space. The setup was definitely very interaction friendly with everybody milling around and chatting with others. There was seating available in the form of couches but it was predominantly set up to be a very socialization friendly location (it worked…I talked myself hoarse). I ran into a lot of amazing bloggers I met at the Ontario Book Blogger Meet-Up back in July and it was great to see so many familiar, happy faces again! I also got to see the lovely ladies from @IndigoTeen again (and gush over books) as well as meet new bloggers, Jackie and Caitlyn from Simon & Schuster, and Kevin Sylvester just to name a few! 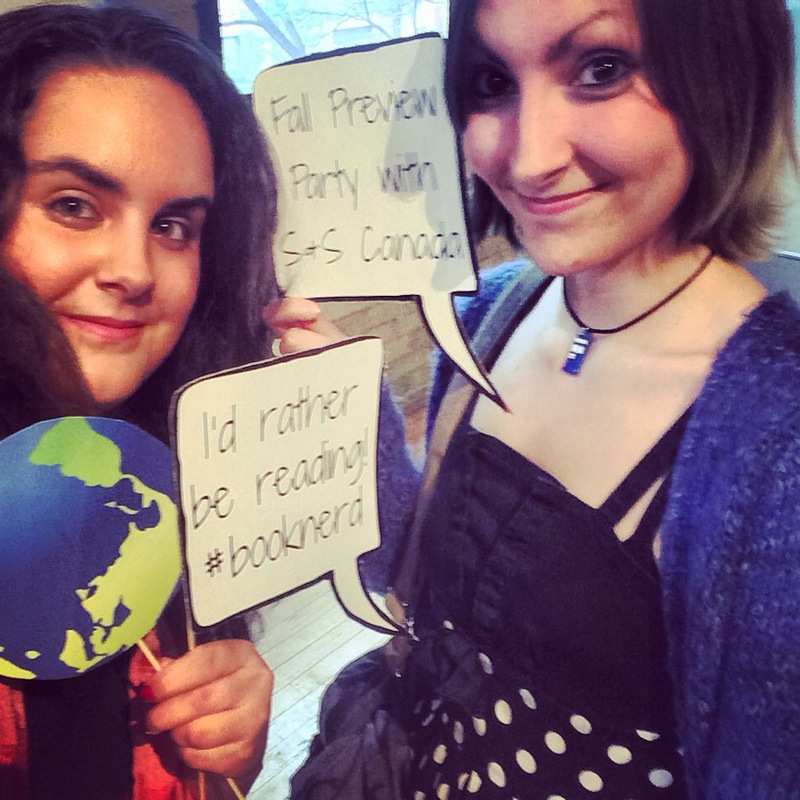 Another fun feature at the event was the photobooth with bookish props, both general and book-specific. After exploring the candy, Michelle and I made our way over for some photo fun! Clearly we missed the point of the speech-bubbles but it was lots of fun! Along with all the fun social elements, there was also a table of ARCs available to those in attendance. I already had copies of The Blackthorn Key and The Scorpion Rules from the blogger meet-up but I was able to pick up a couple of new reads that sound incredible, Madly by Amy Alward and MiNRS by Kevin Sylvester (I was even able to get this one signed!). As the night wound down, people started saying their goodbyes. 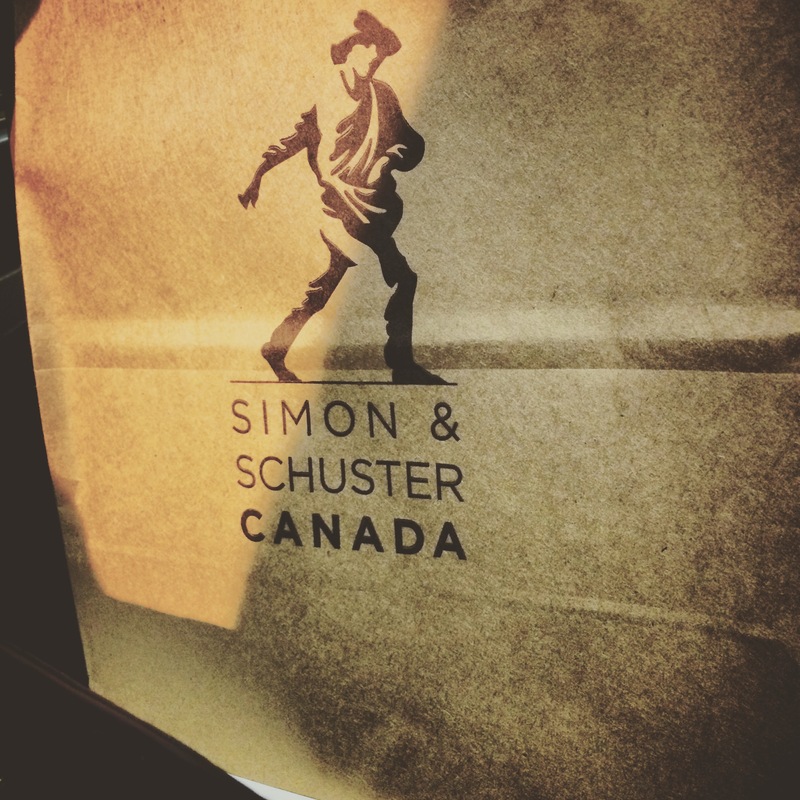 On the way out, the Simon & Schuster team were kind enough to have goodie bags put together for us to end the night. It included chapter samplers, some awesome stationery stuff (to-do list pad, stickies, etc. ), a bottle of Pop Shoppe pop, and the infamous tangram puzzle (if you were on Twitter that night, I’m sure you got a kick out of all of us struggling with this and tweeting out for help…it was seriously hard). This was an incredible event and I’m so glad I was given the chance to participate. 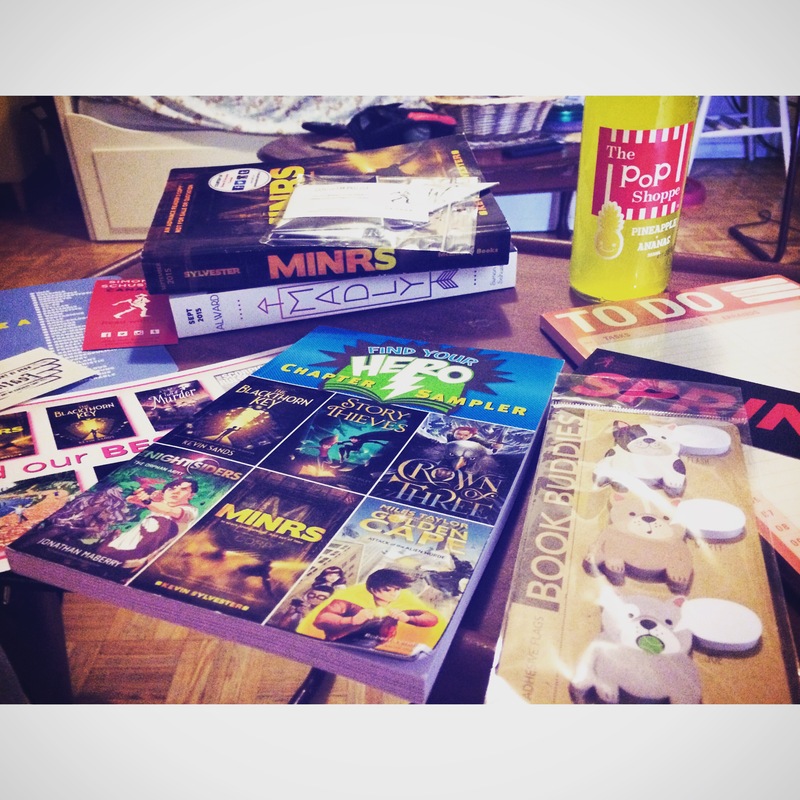 It put a couple of new books and authors on my radar and it was really fun to mingle with other book lovers! I look forward to reading more of these featured titles and to seeing what Simon & Schuster has planned for the coming seasons. 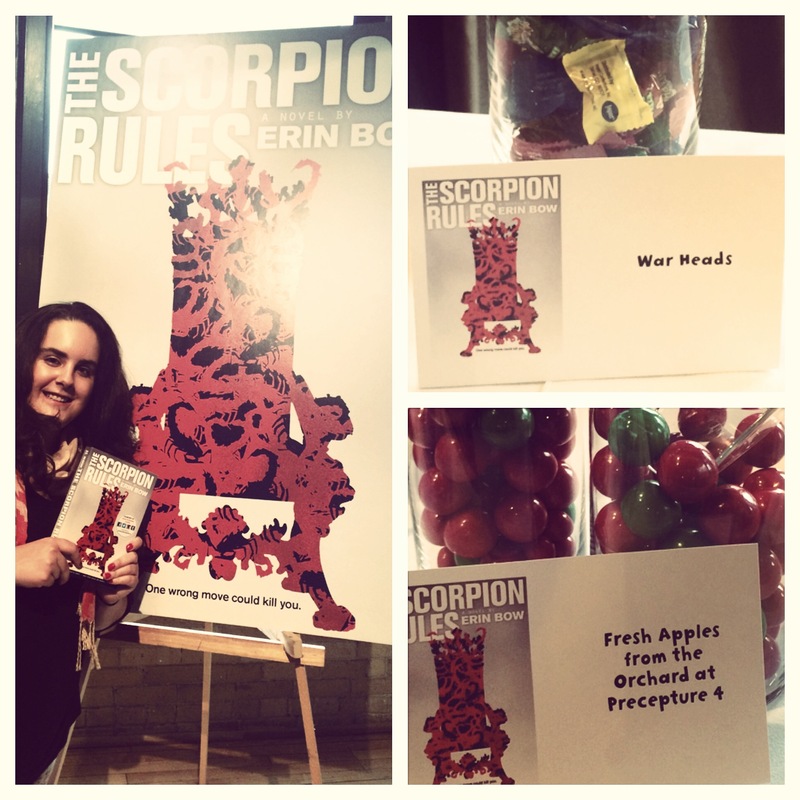 I will end this with a collage solidifying my love of The Scorpion Rules. Clearly I’m kind of excited about it. Keep an eye out this month for my review! Are any of these books ones you’re looking forward to? Have you read any of these titles and love them? Let me know! I’ll be diving into them in the coming weeks. Thanks! It definitely was s blast 🙂 the lovely people weren’t a bad perk either 😉 haha so good to see you again!